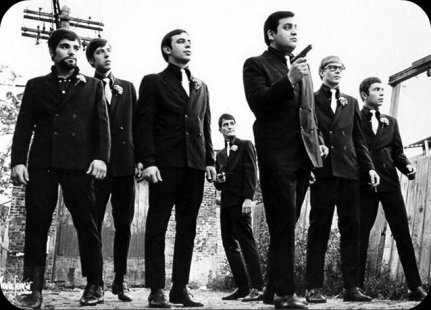 Formed in the late sixties, The Mob consisted of a group of teenagers from the same Chicago neighborhoods. They developed a unique rock and soul sound that they perfected and grew better and better over time. Not only did they have their own hit records but members James Holvay and Gary Beisbier wrote several songs for the Buckinghams, including Kind of a Drag, Susan, and Don't You Care. Over the years The Mob has performed all over the country, including Sioux Falls. During the early to mid seventies they were regulars at the Mocamba, where they always packed the house. After over thirty years of retirement, members are looking forward to once again performing in Sioux Falls.